David Backes didn’t come from a youth hockey association with the size of Lakeville, the history of Edina or the name recognition of Warroad. It was the small town of Spring Lake Park that brought the youngster aboard, serving the forwards as a launch pad into stardom at Spring Lake Park High School, Minnesota St.-Mankato, the St. Louis Blues – and even the U.S. Olympic Team. The population of Spring Lake Park has hovered just over 6,000 for decades. It didn’t matter. The Panthers were able to keep Backes on their home ice and develop him into a player who loves the game and ultimately excelled at it. 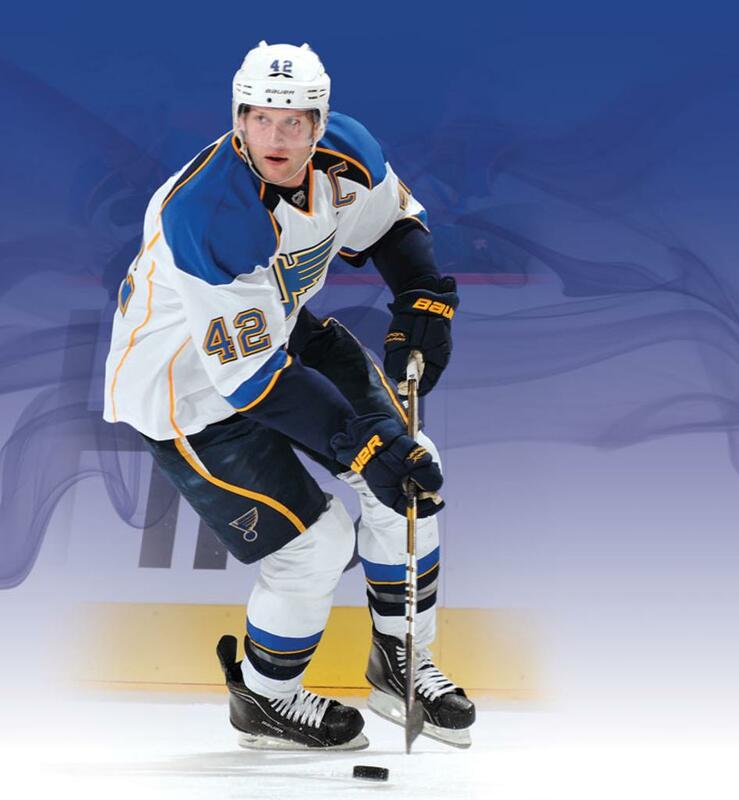 Backes’ story captures what’s so unique about youth hockey in Minnesota: Community. Kids want to play with their friends in their hometown – and Minnesota is a leader in the country when it comes to making that possible throughout the state. Representatives at USA Hockey know it’s one of the main drivers of hockey participation in Minnesota. It’s easy for natives to take that structure for granted. It’s all they know. That doesn’t mean associations – including coaches, parents, volunteers and players – should sit on their laurels. There’s still work to be done. Minnesota Hockey is already the largest member association in the country. There is no reason that number can’t continue to grow – and there’s proof it continues to do so. Hockey participation has grown in each of the past five years, with an expected sixth on the way with USA Hockey’s next annual membership report. Any association can find the next Backes, Jake Gardiner (Minnetonka Youth Hockey Association), Alex Goligoski (Grand Rapids Amateur Hockey Association), Jack Connolly (Duluth Amateur Hockey Association) or Derek Stepan (Hastings Hockey Association). Any association can build a strong youth hockey program. Any association can create a fun, energetic and prosperous environment for kids to stay active and develop lifelong lessons and friendships. It’s up to each association to take advantage of the opportunities Minnesota Hockey and USA Hockey are providing, while combining them with their own initiatives. Participation in the State of Hockey continues to grow every year, and associations are doing more and more to build momentum. The best coaches encourage creativity on the ice. It’s time to bring that mindset into recruitment and retention at the local association levels. Here are some examples of inventiveness, coupled with the available resources provided by Minnesota Hockey and USA Hockey. Bemidji Youth Hockey Association jumped from an average of 75-85 new skaters per year up to 105 through some new marketing techniques. Ely Blue Line Club took part in USA Hockey’s Try Hockey for Free Day, waived association fees for Mini-Mites and all first-year skaters, and attended Back to School nights with youth hockey information in Ely, Babbitt and Tower schools to produce a 13 percent increase in 8 and Under players. Champlin Park Youth Hockey Association has been running an event called the Taste of Hockey, a free, first-year skater program. North Metro Youth Hockey has combined available resources with their own hard work. Volunteers market the program in all four school districts. They march in local parades, host festivals and sponsor other low-cost hockey events to increase membership. 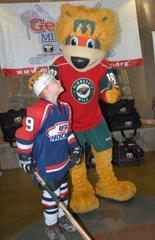 To combat costs while introducing boys and girls to hockey, the Gear Up Minnesota! grant program awarded starter hockey equipment grants to 39 community youth hockey associations in Minnesota last year. More than $130,000 in equipment was provided to youth hockey families and associations in Minnesota. All associations need to do is apply. Pass the Puck grants are provided to associations that demonstrate a creative or novel idea for increasing participation within their association. Grant amounts can be up to $2,000. Grow the Game awards recognize associations that administered a successful growth promotion in the previous year. Awards are for $500 with the intent that it will cut down the cost of continuing to operate the growth promotion. Applications and more information can be found in the Recruitment and Retention section of minnesotahockey.org or by emailing info@minnesotahockey.org. The Responsible Sports Community Grants program is designed to reward responsible youth sports clubs and organizations with one of 15 $2,500 grants. Take the quizzes to qualify at ResponsibleSports.com. Associations will be rewarded for taking on USA Hockey’s 2 and 2 Challenge, which is a blueprint for youth hockey leadership to realize their goal of acquiring two additional players and retaining two additional players than the previous season’s total. Contact Shari Olson from Minnesota Hockey’s Recruiting and Retention Committee at 218-348-2417 or shari@duluthheritagesportscenter.com. Contact USA Hockey’s Program Services Coordinator Shannon Webster at 719-538-1118 or shannonw@usahockey.org. What is your association doing to foster growth? Need help? Send an email to info@minnesotahockey.org.